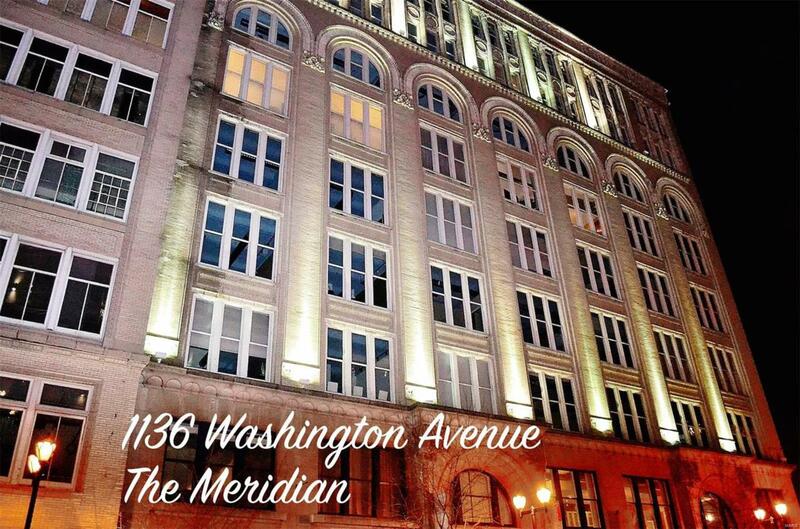 Welcome to the beautiful Meridian Lofts in the heart of the downtown loft district. 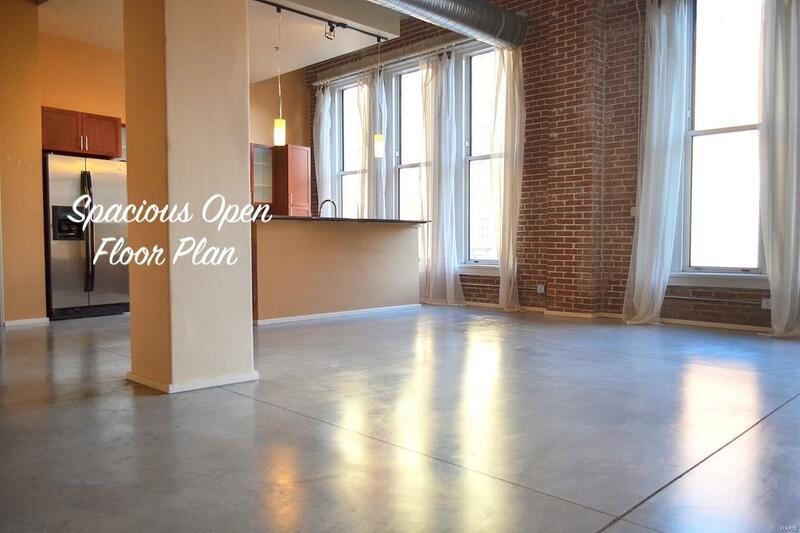 This spacious 1500+ square foot 2BR 2BA is located above Tucker at the intersection of Tucker and Washington Avenue. 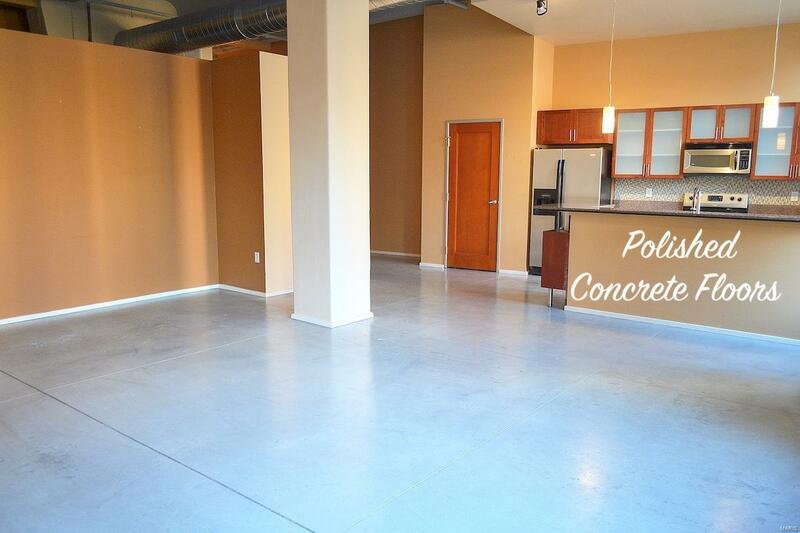 The unit boasts polished concrete floors, granite countertops, open floor plan for your furnishings, custom kitchen cabinetry and large industrial style windows in the living room. This unit has it all. Entertain family and friends while prepping that perfect meal and watching your favorite sporting event (Super Bowl) or TV show. After dinner head downstairs for some Insomnia Cookies to cap off the night. Head out to one of the many restaurants and bars. Walk to Blues and Cards games or even to Ball Park Village. Metro is just 5 blocks east on Wash. Ave. Take it to Scott AFB or even Lambert Airport. Parking space is located on the first level behind the main lobby. 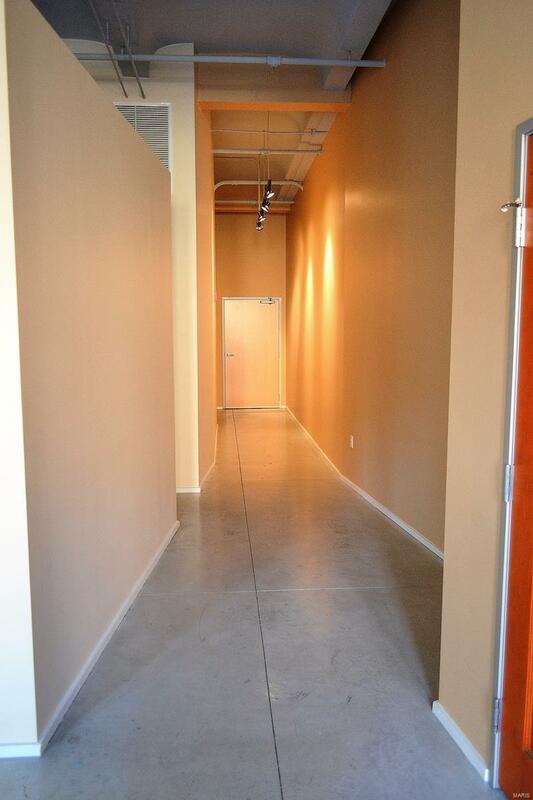 Additional storage may be rented in the lower garage for $25.00 per month. Schedule your appointment today!! !